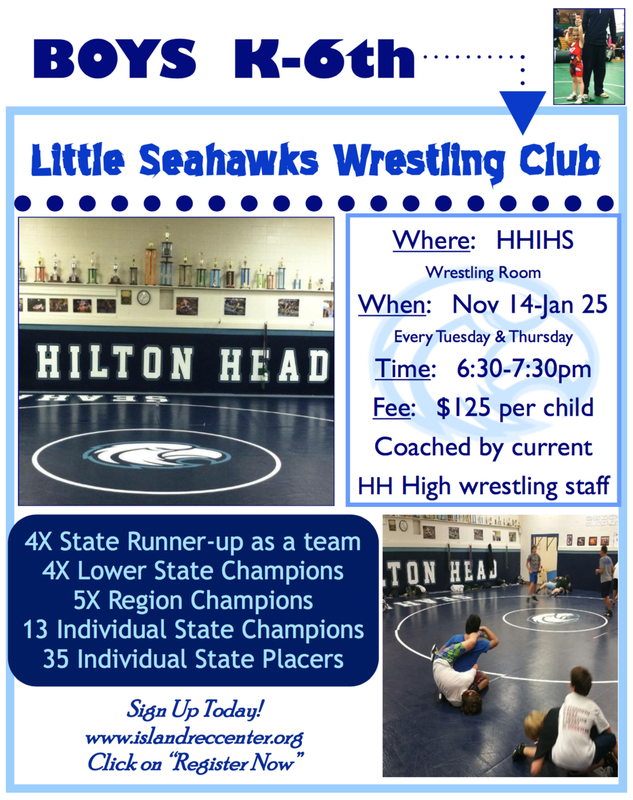 Mike Newton (4x State Runner-up as a team) Hilton Head High School Wrestling coach and his staff will be working with children in Kindergarten - 6th grade. "The sport of wrestling helps teach life skills like hard work and discipline while getting in shape at the same time. We do this alongside athletic games during practice so the kids are constantly having fun."